Obtains, uses, studies, analyzes, or generates identifiable private information or identifiable biospecimens." Are you planning on conducting human subjects research? Learn more about research that meets the definition human subjects research, Federal regulation requirements, and whether your project may be considered exempt. Also, learn about NIH specific considerations and become more familiar with NIH policies, and other regulations as it relates to human subjects research protections. 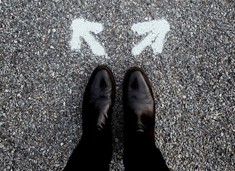 Decision Tool: Am I Doing Human Subjects Research? 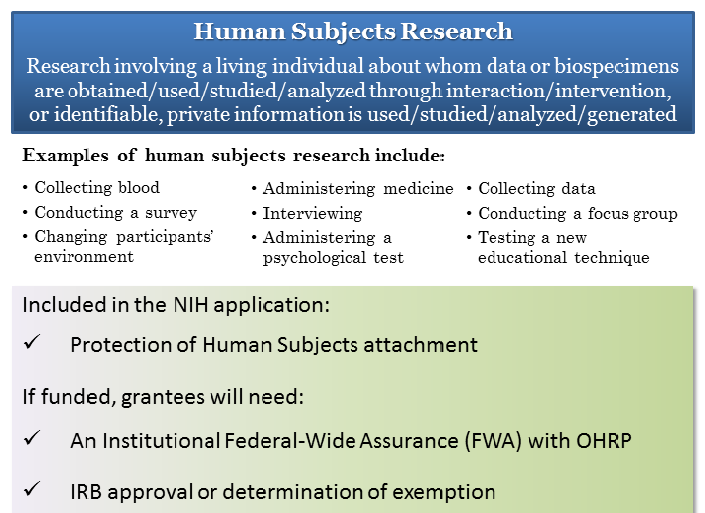 The questionnaire is a tool to assist you with determining whether your project involves non-exempt human subjects research, meets the criteria for exempt human subjects research, or does not involve human subjects research. This resource summarizes the definition of human subjects research and provides examples of human subjects research projects. It also describes what you will need when you are preparing your NIH application and what is required if you are funded. This resource is a guide to simplify the understanding of the exemptions from the federal regulations for the protection of human subjects research. 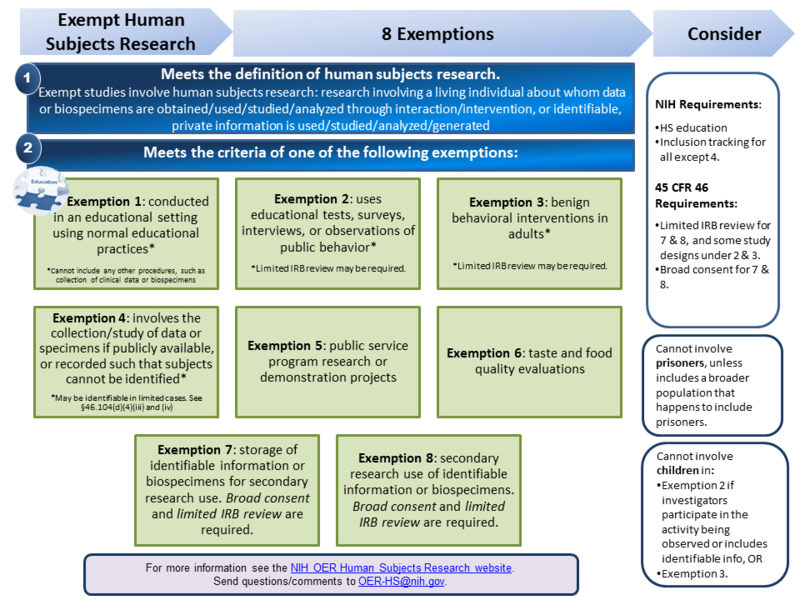 It summarizes Exemptions 1, 2, 3, 4, 5, 6, 7 and 8, providing basic definitions, examples of studies that meet and do not meet the criteria of the exemption, and aspects one must consider when engaged in exempt or non-exempt human subjects research.